Waterproof flooring allows you to incorporate the beauty of natural hardwood into your home’s decor with the fear of moisture and its consequences. 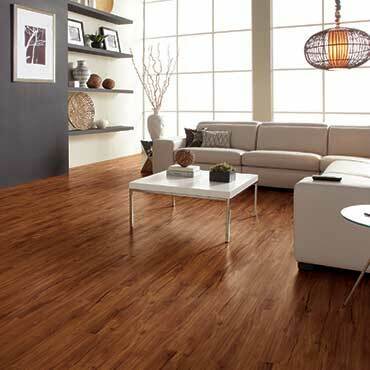 Waterproof vinyl flooring is rapidly being used in more and more hoes due to its design and material innovations. Many waterproof floors now offer premium-quality, wood-like finishes and durable surfaces at far less cost than traditional materials, such as genuine hardwood. Waterproof vinyl is easy to install, and you don’t have to worry about waxing or sealing since it is completely impervious to water. Therefore, if you want wood floors in your kitchen, bathroom, or entryway, go for it. COREtec Plus represents the next revolution in luxury vinyl flooring. 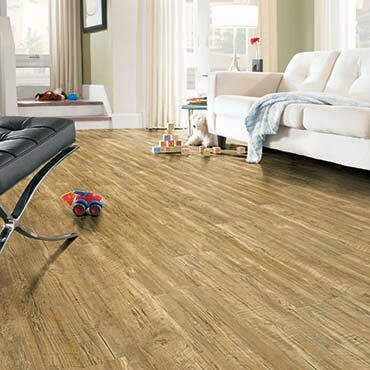 The 9 ft. wide, 6 ft. long luxury vinyl planks of our patented COREtec Plus XL will make a statement in your home. XL decors take vinyl from the utility room to the living room. 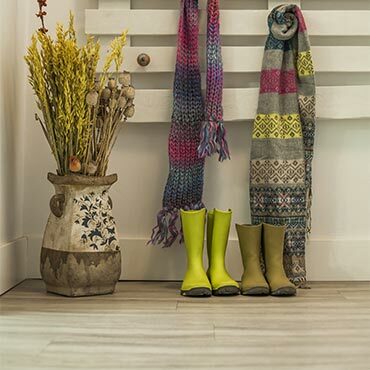 From modern to country, find the look and performance you need for your home. COREtec Plus represents the next revolution in luxury vinyl flooring. COREtec Plus is a great alternative to glue down LVT, solid locking LVT, or laminate flooring. The patented construction of COREtec Plus features our innovative COREtec core structure, which is an extruded core made from recycled wood and bamboo dust, limestone, and virgin PVC. Since COREtec Plus is 100% waterproof, COREtec Plus floors can be installed in wet areas and will never swell when exposed to water.